I live and work in Woodbridge Virginia and service all of Woodbridge Virginia and surrounding areas. 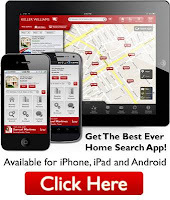 Claudia S. Nelson is a Real Estate Agent with eXp Realty in Woodbridge VA , Lake Ridge, Virginia. Claudia is an award winning real estate agent who focuses on residential real estate in Prince William County. She specializes in working with sellers and buyers, whether you are relocating from out of town, state or country or moving locally, Claudia can assist. If you are looking to buy, sell or invest in Real Estate I would love an opportunity to becoming your Realtor of choice. The best compliment I can ever receive: A referral and an online testimonial. THANK YOU! Email hacking and fraud are on the rise to fraudulently misdirect funds. Please call your escrow officer or Real Estate Agent immediately using contact information found from an independent source, such as the sales contract or internet, to verify any funding instructions received. We are not responsible for any wires sent by you to an incorrect bank account.